Ask a question about 738 N Macewen Dr, or schedule a tour. 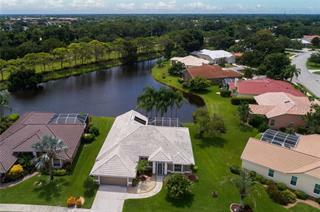 Imagine how you’d like to live the ultimate Florida lifestyle. 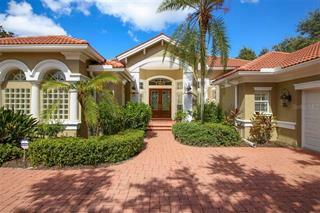 Your vision can become a reality in this 5 bedroom, 5.5 bath two story home in The Oaks Clubside. 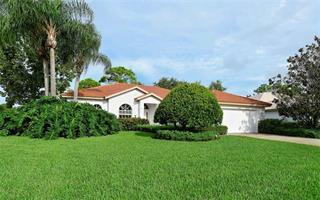 Set back on a cul-de-sac lot, with gorgeous lake and golf views, the floor... more. plan offers flexibility for the space to be used by residents and guests in a number of ways. The first floor master suite offers plenty of room, including a poolside sitting area, and luxurious bath. One of the two guest suites in also on the first floor, with another on the second. All have walk-in closets. But before heading upstairs, take in the light, bright space on the ground level. The formal living room with fireplace is the perfect setting for cozy fall evenings. The island kitchen has granite countertops and stainless steel appliances. Meals prepared here can be enjoyed at the breakfast bar, breakfast nook or in the formal dining room. Step outside and enjoy the views, over the expanse of the paver deck, pool and spa. Think about the great outdoor entertaining you can do utilizing the outdoor kitchen with granite countertops. Now…on to the second floor which along with an en-suite guest bedroom, offers two more bedrooms with a Jack-and-Jill bath, and a gathering area that can be used for anything from a media room to a game room; it is all up to you and your vision. 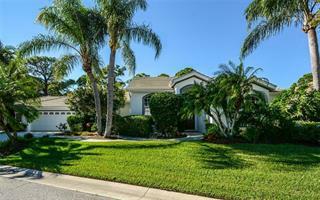 All this and more, behind the gates of Sarasota’s premier golf and country club, The Oaks. Membership is available and required.